Suitable for long term leasing or short term leasing. 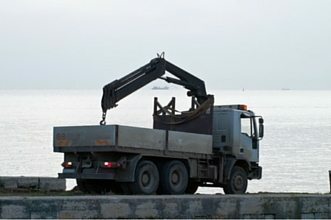 We have well-maintained lorries cranes with varying capacities available for rental. Commonly used for the transportation of extremely bulky and heavy items. We provide one way transport and lifting with the lorry cranes. Lorry crane rentals can normally be considered in the event where heavier loads need to be transported. Under the family of mobile cranes, the mounted lorry cranes are especially useful for the lifting and hoisting of medium to heavy loads. With this additional functionality, it enhances the efficiency of moving heavier loads to you desired destination. In addition, it provides capabilities such as lifting heavy cargo within a single site thereby saving time and effort. This feature is more commonly used at construction sites. The capacity of our lorry cranes range from 10 to 55 tons so depending on the load that you will be moving, our team will provide the best lorry crane to suit your needs. Booking was quick and easy. Only needed to provide my pick-up and drop-off point and the cargo weight and the lorry crane was booked. Thanks. Needed a lorry crane at the very last minute to move some items for an event. Thankfully they had some vacancy. Suitable for long term or short term leasing, we provide a wide variety of truck-mounted cranes. The multi-purpose hydraulic cranes are engineered to handle a broad variety of lifting operations and our lorry cranes have superior lifting performance, advanced safety features as well as superior ease of operation. For fast and efficient delivery services, the lorry crane can quickly load and unload heavy cargo or pallets. 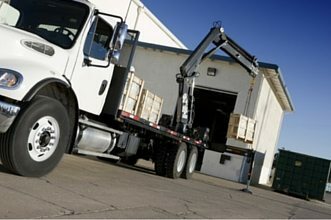 The transport service can also be used for the hoisting and hauling of cargo within premises. With years of experience in this industry, our team is able to apply our technical knowledge and experience to effortlessly move complex cargo or even perform lifting and hoisting in tight spaces. In Singapore, in order to enhance the safety of workers using the cranes, the Workplace Safety and Health (Operation of Cranes) Regulations 2011 states that any operator of the lorry crane must successfully complete an approved training. Therefore, in order to make sure our drivers are capable and qualified, they have to attend and pass the Lorry Crane Operator Course (LCOC) and Lorry Crane Operator Competency Test (LCOCT). This guarantees the professionalism of our crane operators and this also benefits the clients because our drivers are skilled and knowledgeable in the use and operation of the crane. So if you plan to utilize the lorry crane rentals for some heavy lifting of equipment, do make sure you have a certified operator. If you do not have the necessary certification to operate the lorry crane, we would be happy to assign one of our experienced and capable drivers to assist you (see Lorry Rental with Driver). Clients can rest assure that safety is of top priority to us to. Our drivers have been instructed to follow a Pre-Lifting Inspection Checklist and a Specific Lifting Plan to ensure that proper safety standards are upheld and maintained. Our drivers aim to assist you to complete your task efficiently, but at the same time we want to make sure that the entire procedure is safe and pleasant for you. With the great number of partners and wide selection of cranes, we are more easily able to select the right crane for the right job thus optimizing crane utilization, this also allows us to price our services more competitively. In addition, with effective fleet management, we are able to accept and execute urgent job request more effectively. This is definitely very important in our line of business and we understand that customers value this a lot.